Fall and pumpkin just seem to go hand in hand. Cream cheese, however, that is an all-season ingredient. Paired together you get a moist, delicious muffin perfect for any time of the year. 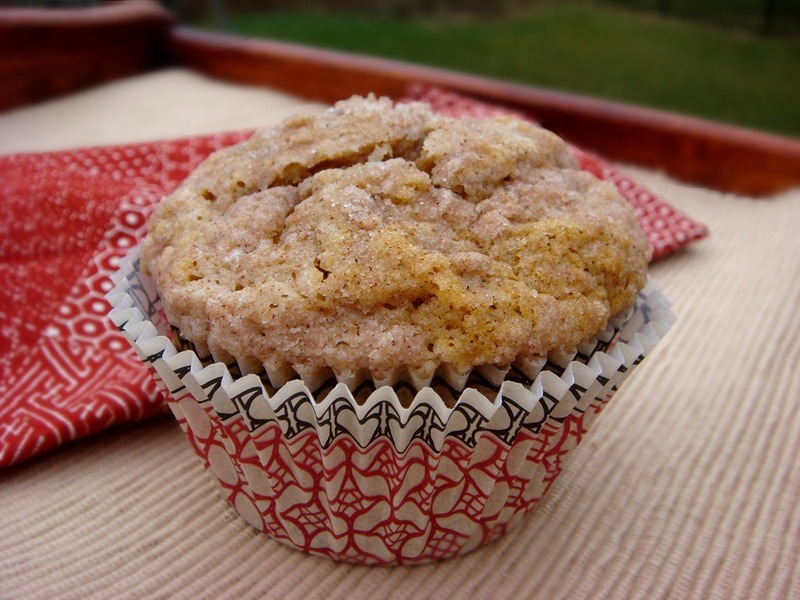 A crunchy, sugary topping on a pumpkin-pie-spiced-cheesecakey muffin. Now all we need is some hot cocoa. Preheat the oven to 350˚ F. Line muffin pans with paper liners. 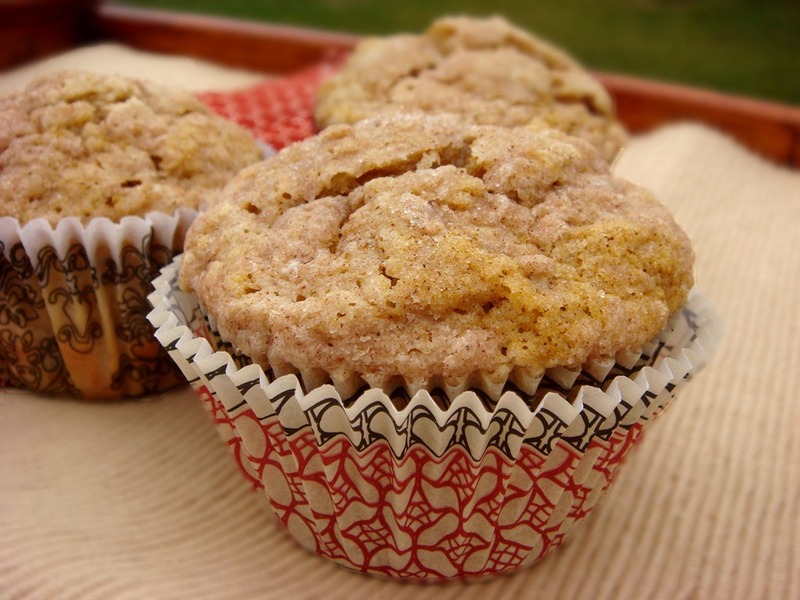 Muffin Batter: Using an electric mixer, beat together the pumpkin, oil, sugars, eggs and vanilla. In a separate bowl, combine the flour, buttermilk powder, salt, baking soda and spices. Add dry ingredients to mixing bowl and beat until just combined. Cream Cheese Swirl: With a mixer, beat cream cheese and egg until combined. Beat in powdered sugar and flour. Topping: Mix the sugar, flour and cinnamon in a small bowl. Using a pastry blender, cut in butter until crumbly. Fill each muffin paper about 1/3 full with muffin batter (about 2 Tbs). Add a small spoonful of filling (about 1-2 tsp). Repeat layers in each muffin cup. Using a table knife, gently swirl batters. Sprinkle topping over the swirled muffin batter. Bake at 350˚ F for 17-20 minutes. Cool in pan for 5 minutes before removing.